This exhibition marks the first ever public exhibition at Brantwood devoted to Turner. It showcases Turner’s magnificent Venice: the Piazzetta with the Ceremony of the Doge Marrying the Sea, together with a suite of watercolours from Turner’s visit in 1840, the year in which Ruskin and Turner first met. The paintings chart the passage of light across the hours of a single day. 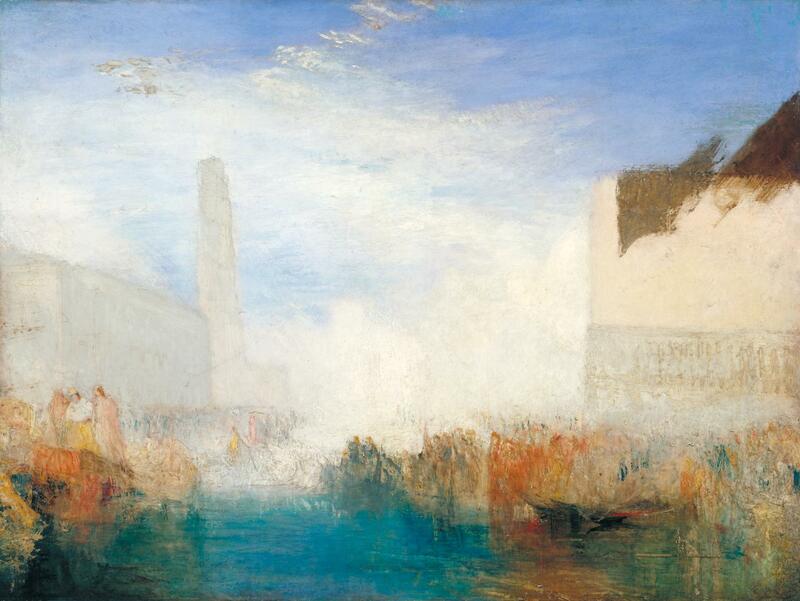 In Venice Turner expressed the many elements of his artistic inspiration in the all-consuming energy of light. History, society, architecture, boats, sea and sky –all melt together in a timeless luminescence. Turner’s Venice became Ruskin’s Venice and Turner became one of the great shaping forces of Ruskin’s life. The exhibition runs in the Blue Gallery until 4th August. Admission with house ticket.